Launching of a new startup backed by Skip (Unilever). 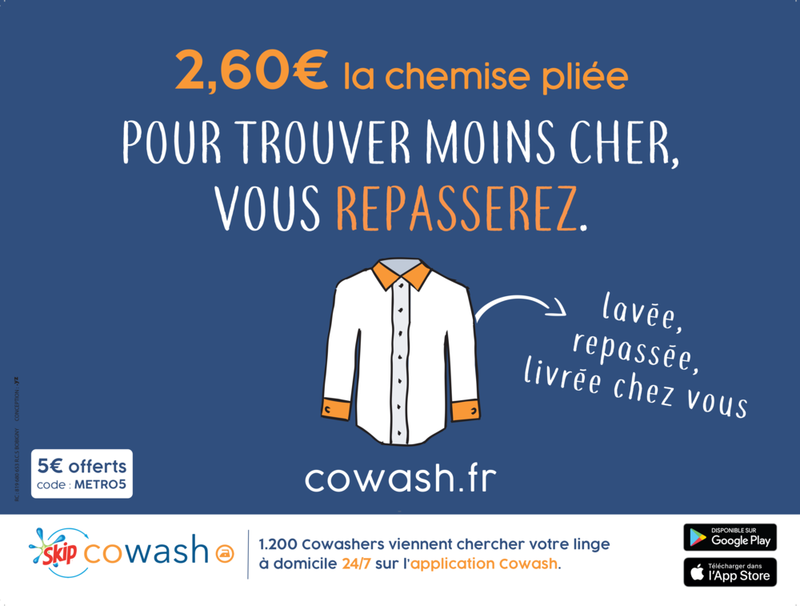 A collaborative dry cleaner service allowing users to have their clothes taken care of by their neighbours. Key challenges: rapidly gain notoriety and acquire as many new clients as possible. How .YZ did it: design of a 4x3 displaying campaign in the Parisian metro. The creative teams designed a poster with a fun and catchy hook. 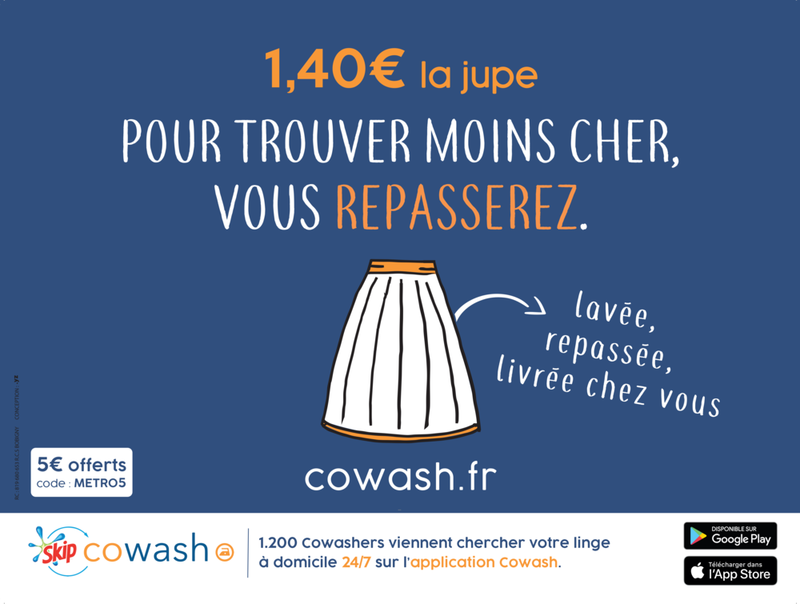 The familiar tone of speech resonates with the collaborative aspect of the project and promotes one of the key gain points of the co-wash offer: the price.